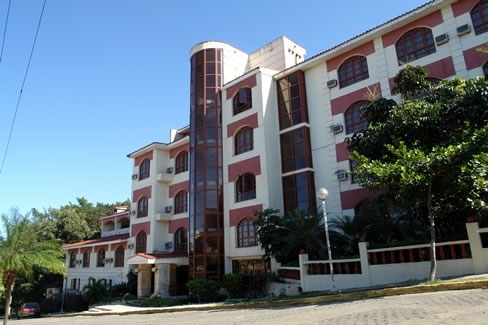 El Bosque Hotel is an extremely warm place due to its natural surroundings next to the Havana Forest, strip of land with and exuberant and beautiful vegetation that crosses part of the city. It is the exact combination to enjoy the advantages of being lodged in the middle of the city, and at the same time, staying away from the city´s noise. 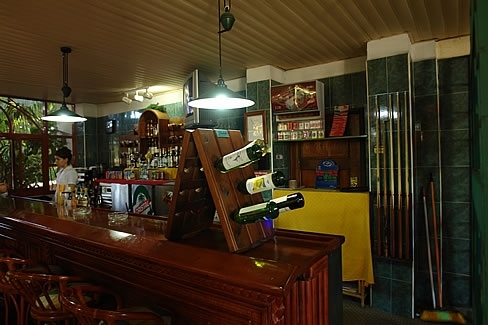 El Bosque Hotel offers lodging, meals buffet or a-la-carte restaurant, national and international drinks, light food, cibercafé, rent of halls and spaces for activities of different characteristics. All this facilities in healthy and natural atmosphere make the hotel an ideal paradise for unmarried, couples and families. 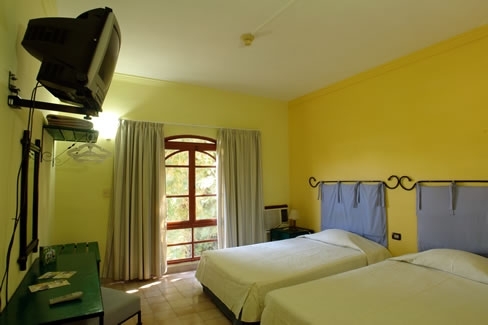 Double Room: 55 rooms with Air conditioning, two personal beds of 1.22m X 2.00m, private bath, telephone, satellite TV, safe-deposit box (not including), mini-fridge (not including), terrace or balcony. Married Rooms: 7 rooms with Air conditioning, a double bed of 1.36m X 2.00m, private bathroom, telephone, satellite TV, safe-deposit box (not including), mini-fridge (not including), terrace or balcony. Connecting Rooms: In order to share with relatives and friends the hotel counts with 20 connecting rooms. Lobby-Bar: Open 24 hours with a supply of light foods, national and international drinks and national cocktails. Cafeteria-Restaurant La Yagruma: A la carte Cuban cuisine, previous reservation. Breakfast (07:00-10:00hrs) Lunch (12:00-15:00hrs) dinner (19:00-22:00hrs). Prohibited to enter with barefoot or bathing suits. The clients provided with accommodations in the hotel can use without additional cost the swimming pool of the neighboring Almendares Club, which is located in center of the complex with a cafeteria near the swimming pool that offers meals and light drinks. The clients provided with accommodations in the hotel can use without additional cost the gymnasium of Kohly Hotel, equipped with weights and cardiovascular equipment. The instructors are available from 09:00 to 20:00 hours. The service of massage is not including in the price of the hotel. Located in Kohly Hotel it is including in the price of the room. Open from 09:00 to 20:00 hours with locker services. Clients can also enjoy in the Kohly Hotel of different thematic nights during the week, spectacles of aquatic Ballet, live music, among other activities. 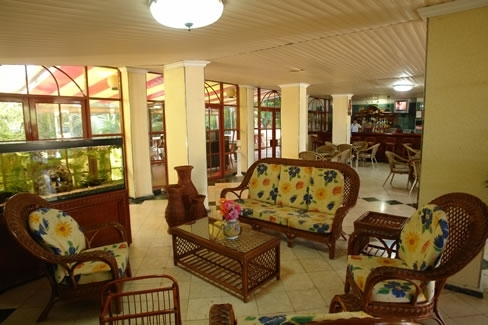 All clients of El Bosque Hotel has right to use the services of Kohly Hotel. In addition they have FREE access to the swimming pool of the Almendares Club and a 10% of discount in its restaurant "El Lugar" and the Pizzería "Pérgola". Daily. Service requested through a blank model page in the room. The service of dry washing is not offered. It´s open from 09:00 to 17:00 hours. Located in the Lobby. Open 24 hours. 24 hours, in the Reception.